This week on the blog. I wrote about growing and eating eggplants for Weekend Cooking: Weekend Cooking — Eggplant. We had a good turnout for Readers’ Workouts: Readers’ Workouts July 10. Join us again tomorrow! I had a DNF this week: Abdication by Juliet Nicolson. I suspect it deserved a more attentive reader than me. While reading in short bursts of 20 pages or less every two or three days, I was constantly losing track of characters and time lines. With too many other books on the TBR, I gave up on this one. 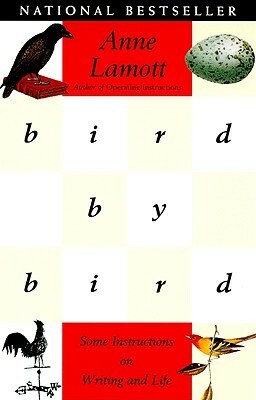 I finished Bird by Bird by Anne Lamott which I read as part of a group read on Goodreads. I’ll write a review when we’re finished discussing it. 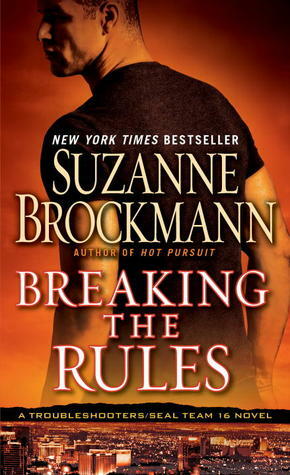 Since I didn’t finish a novel, I decided to build back my reading confidence with a book that I knew would grab my attention and hold it: Breaking the Rules by Suzanne Brockmann. I’m still reading The Bro-Magnet by Lauren Baratz-Logsted, an ebook on my smart phone. My lunch-time reading is The Hundred Year Diet: America’s Voracious Appetite for Losing Weight by Susan Yager, an entertaining history of dieting in the US. I’ve learned a lot. I’m continuing to work my way through Writing Down the Bones by Natalie Goldberg. I’m feeling guilty about a review book that was published in June, so I’ll probably pick it up next: The Color of Tea by Hannah Tunnicliffe. I started Drop Dead Healthy by A.J. Jacobs before the Ireland trip but couldn’t get it finished before the library wanted it back. Now, my turn has come up again so I hope I can get it completed this time. I’ll start it as soon as I finish The Hundred Year Diet. Suzanne Brockmann is a good choice to get your reading confidence back. I don’t think I have ever read one of her books that I didn’t like. My Monday Report is here. Have a great week! I can’t wait to read your thoughts on Bird by Bird and Writing down the Bones. After reading your review of Food Fight, I asked my library to buy a copy and they are! Yay! Love Suzanne Brockman! Have a great week of reading. I’ve been meaning to pick up Drop Dead Healthy! Thanks for the reminder! I’ve always wanted to read Bird by Bird, I’ve heard great things about it. I also like Natalie Goldberg’s books about writing. Happy Monday! Here’s what I’m reading this week! Breaking the Rules looks intriguing!